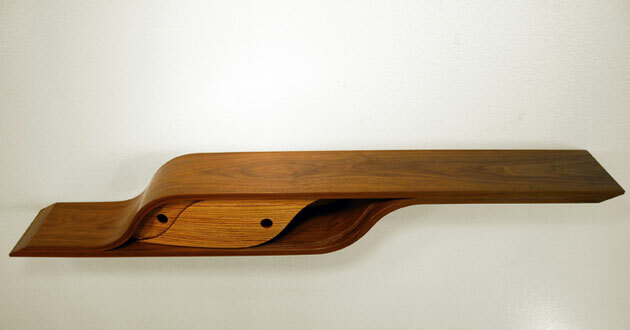 This wall shelf design is a simple form with a powerful statement. 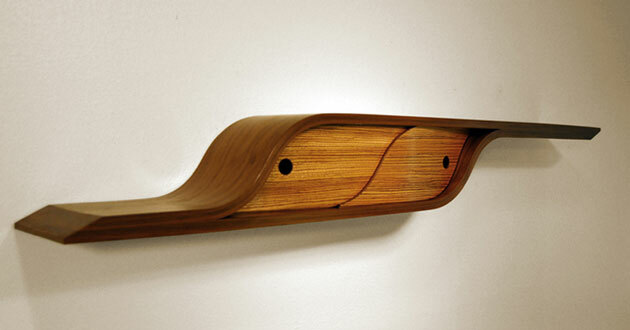 The profile consists of walnut laminations that split and rejoin to create a usable space within. 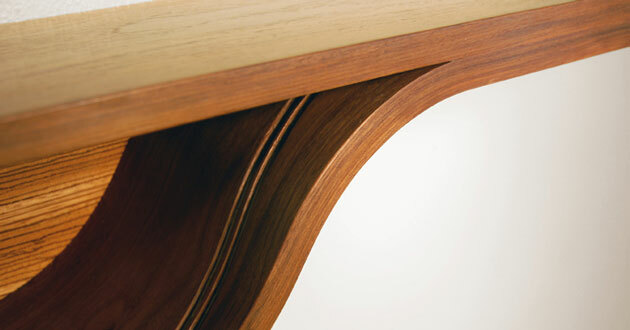 In addition to the more obvious curves of the walnut case, the sliding doors follow a radius that pulls them back into the corners. 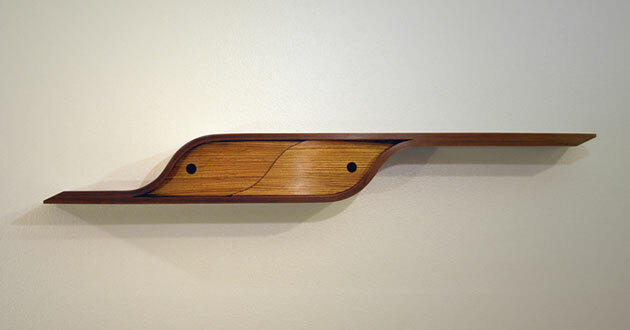 This subtle bend brings a layer of curiosity and depth to the face that accentuates the modern shape of the shelf. 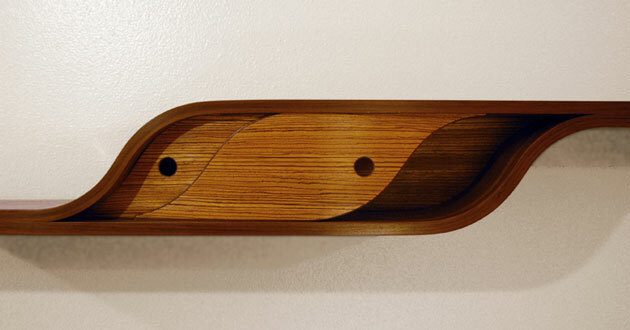 This shelf is a one-of-a-kind and cannot be replicated at this time.